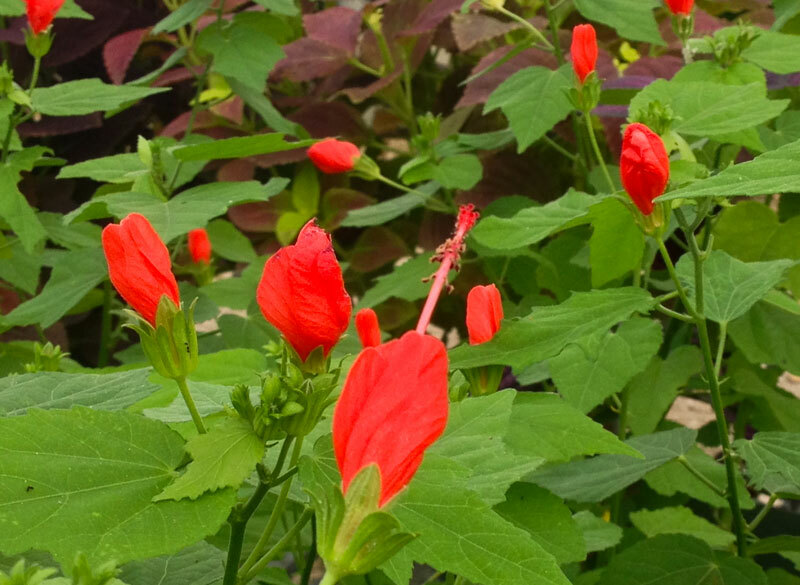 If you want to plant it and forget it, Turk's Cap is pretty close to perfect. 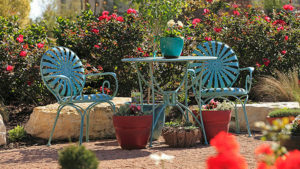 These perennials are super tough, even in our Texas heat. In fact, you better make sure you reaaally like this one, before planting. It can be difficult to get rid of! Don't let that scare you though, this is a fantastic plant. Turk's cap will grow in a shrub-like form to 4 or 5 feet tall and 3 to 4 feet wide. Many times they will grow larger. It's a perennial plant, so it will die down to the ground in winter, emerging again in the spring. The showy, bright red flowers bloom almost all season, spring through frost. The flowers never completely open and resemble a Turkish fez, or cap. The bright blooms are also a favorite of hummingbirds and butterflies! Turk's Cap has few pest and disease problems. You may run into problems with mealy bug or powdery mildew every once in a while. Both problems are a relatively easy fix. Turk's Cap is extremely versatile and can grow in a variety of soil types including rocky, clay, sandy, alkaline or acidic soils. This plant is drought tolerant once established, but can also grow in wet areas. Where do you want to plant it? Put it in deep shade, part shade, part sun or full sun! These perennials look great as a border or mixed with other perennials. Try it in a rock garden or even a whiskey barrel. 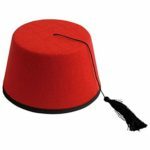 Turk's Cap produces a small marble-size red fruit that is edible. It has a mealy taste, but birds and animals seem to like it. The flowers are also edible with a sweet taste. They can be used as garnish in salads or on cakes! Red is the most widely known color for Turk's Cap flowers, but shade of white and pink are also available. This plant is a member of the mallow family, related to Hibiscus, Rock Rose Pavonia, okra and cotton. Want to be able to eat what you grow? Our August Plant of the Month is one of our picks! Baby Ginger is a tropical looking plant with edible pink and cream colored rhizomes. But this ginger is a little different from the kind you get at the grocery store. Baby ginger is very tender and does not require peeling! It also doesn't have the tough, fibrous center like in other ginger roots. You can use it fresh only for about 2 weeks, but works well when put in the freezer for later. 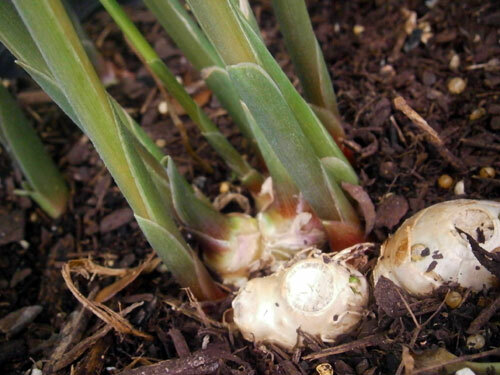 Baby Ginger will grow to 3 or 4 feet tall and wide with a clumping growth habit. Grow it in a shady spot, where it can get some morning sun. You can grow it in containers too, even indoors with a good light. Ginger needs consistent watering, but does not like wet feet. Make sure your soil is well drained. This plant is easy to grow, with few pest or disease problems. Feed your ginger plant every 4 to 6 weeks to improve your crop. Try FoxFarm's Happy Frog Fruit & Flower food or Medina Hasta Gro Plant formula. 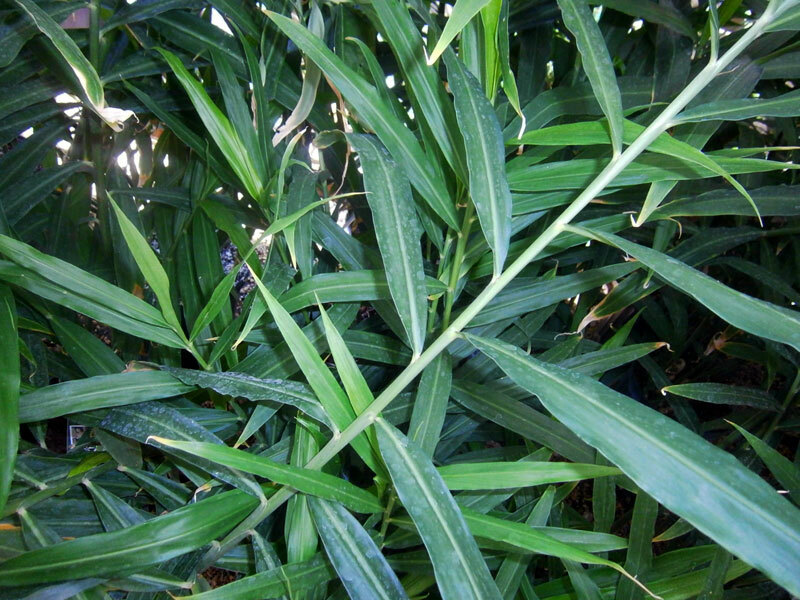 The stalks can be used fresh or dried for tea or soup. The roots will be ready to harvest about 4-6 months after planting. Save some to replant the next season! You can overwinter it as a tender perennial or grow it in containers to bring it inside for winter. We have a few of these Babies at The Garden Center ready to go home with you! Pick up a 3 gallon container for $29.99. Ready to make some tea? Here's two ways to do it! To make ginger tea from the leaves: Cut off the stalks about 2 inches above the root. Cut off the leaves and rinse, then blot dry with a towel. Cut the leaves into small pieces and put them on a paper towel to air dry. When the leaves are thoroughly dried, store them in a glass jar or plastic bag. You can also use the leaves as flavoring for soups! To make ginger tea fresh from the roots: Cut two slices of ginger root about 1 or 2 inches long. Boil four cups of water, add the ginger and let simmer for 15 minutes. Strain out the ginger, pour into a cup and enjoy!